In the face of conventional financial institutions, which have become reluctant to finance small, medium and innovative enterprises after the 2006-2008 financial crises, out of solidarity and cooperation, alternative finance has emerged to provide funding to peers. 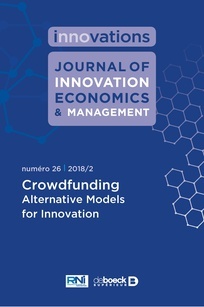 Scholars have mainly explored crowdfunding both as an innovative alternative mode of funding, and a source of funding for innovative venturing and out-of-stream entrepreneurship. 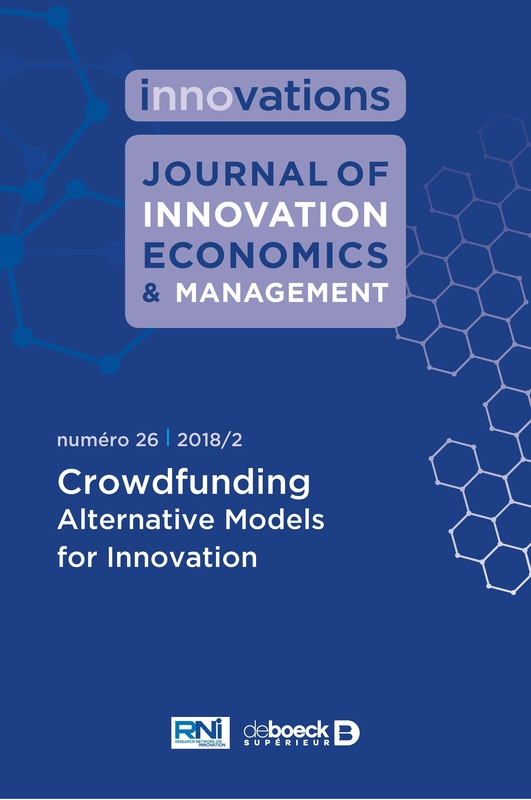 This issue of Innovations, Journal of Innovation Economics and Management collects contributions exploring crowdfunding in innovative avenues of research: comparison with other forms of alternative finance, evolution in emerging economies, communicative instrumental crowdfunding, signal analysis, and modes of governance.